Microblading is a semi permanent makeup for the eyebrows. 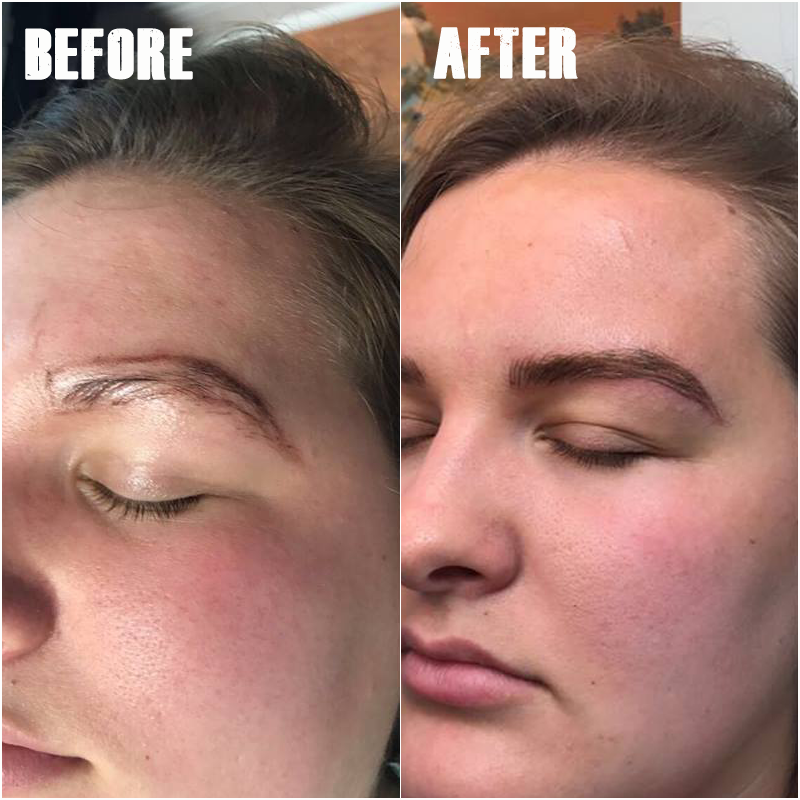 This is a technique that our aesthetician will use to create the look of a thicker, more dense, and defined shaped eyebrow. Unlike tattooing this procedure uses a scalpel to create small lines resembling hair, next an ink is added over the top of the area. You will come back for a follow up appointment in about four weeks, this is so that any area that needs to be touched up after the healing process can be corrected. It is recommended that you then have a touch up appointment every 12 months to keep your beautiful new brows looking flawless.